After a 20-year hiatus, Rat.org has returned, at least as a read-only museum. Few today may remember it, but for some fans it was their first furry Web repository, and a launching point or inspiration for many other sites. Rat.org was founded by Kilorat in the ancient stone-age year of 1994 as a combination Sonic the Hedgehog and Swat Kats: The Radical Squadron fansite. Later a Gargoyles section would be added as it grew in popularity. This was the first home for many artists and fanfic writers, launched before Windows 95 came out (most used Mac OS 7.5.x or Windows for Workgroups 3.11 to connect with dial-up), and before giants such as Yahoo!, GeoCities, deviantART, and Fanfiction.net took over. The website was hosted on a humble 80386DX with a "gigantic" 500 MB hard drive co-located at MV Communications – the first ISP in New Hampshire, where Kilorat was working. Despite being one of the only sources for fan materials on the Internet [compare S'A'Alis' Avatar Archive], the server was able to handle the low levels of traffic of the day. Update (August 2018): The domain name has been sold, and all links updated to kilorat.com. 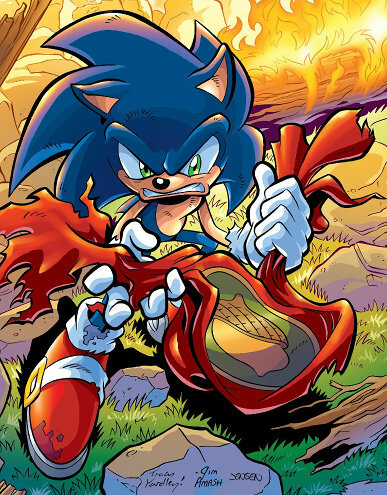 As noted in January, Archie's Sonic the Hedgehog comics (including Sonic Universe and Overdrive) have been delayed for unspecified reasons, with suspicion falling on a renewed contract dispute with SEGA. 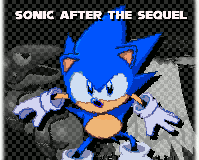 Today, the official Sonic the Hedgehog Twitter account announced that SEGA of America were "parting ways" with Archie; promising that it was not "the end of Sonic in comics", but a "decision to take a different direction for the series that will be announced at a later date". Not just fans, but current and former staff of the series were stunned by the news. On May 16, a trailer for the upcoming Sonic Forces revealed a surprising direction for the hedgehog’s latest 3D venture. The new character that will be joining the blue blur in his adventure would not be just another Sonic Team-crafted sidekick. Instead, it will be a character you yourself develop that will team up to take down the meddling Eggman. That’s right, the infamous Sonic "Original Character" is now canon. But how much can you customize to bring your dream character to life? Let's take a look at what's known so far. 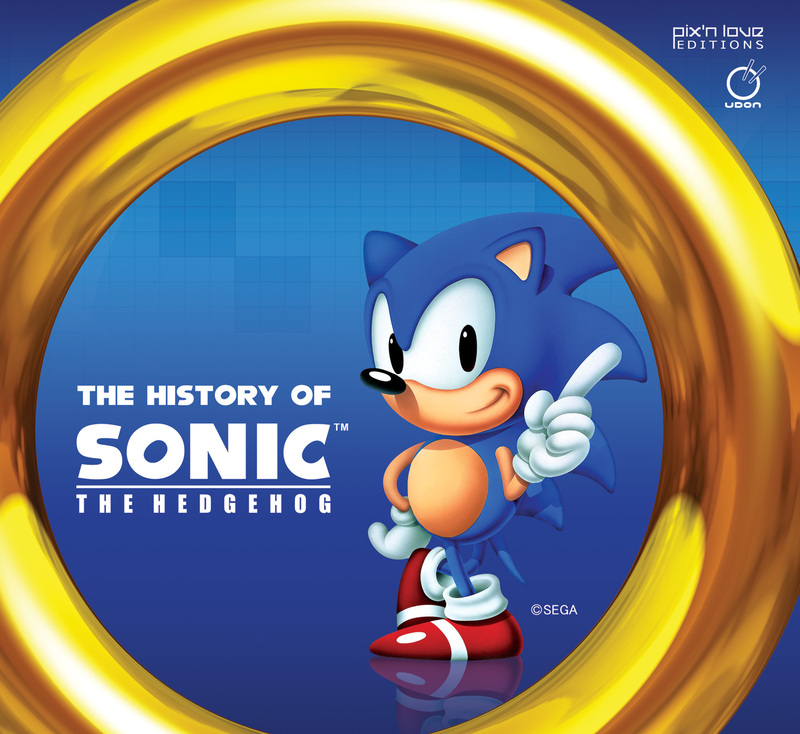 A mainstay of the Sonic and Furry Fandoms for the past quarter-century was feared no more. 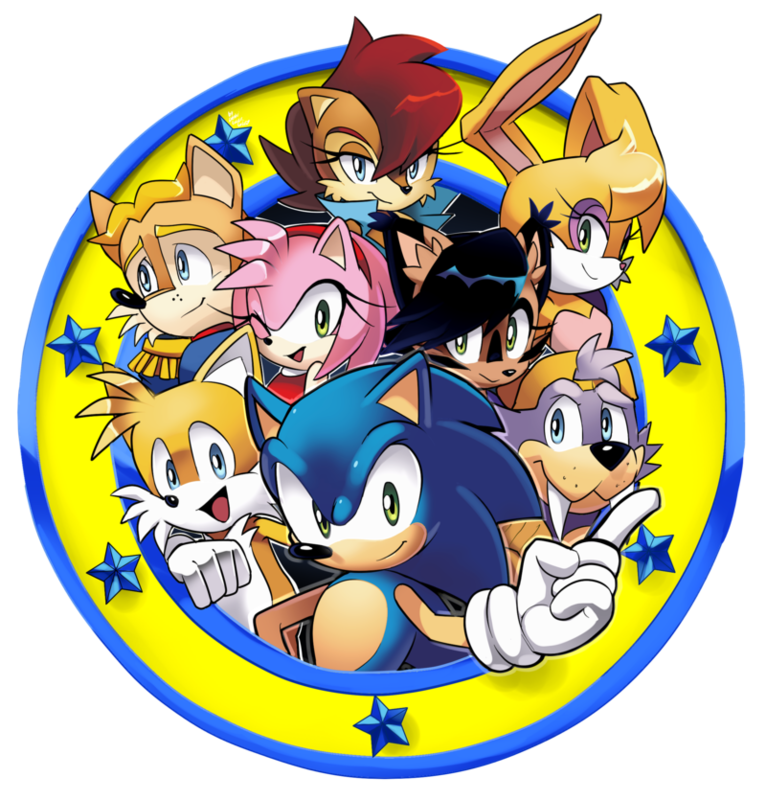 The Sonic the Hedgehog series of comic books published by Archie Comics Publications since 1993 have not been cancelled, thankfully, only delayed. As of December 2016, the comic has reached 290 issues, and is the longest-running licensed comic in history (surprassing Conan the Barbarian's 275 issues), the longest-running sci-fi comic (surpassing Star Trek's 212 or so issues), and holds the Guinness Book of World Records for the longest-running comic book based on a video game. So, what do you get when you type "[your name here] the Hedgehog" in Google Image Search? OH GOD, I SHOULD HAVE TURNED ON SAFE SEARCH! Guardians of Knowhere #2 at 24. It is with great sadness that I must report on the passing of one of the giants of the voice-acting world. Christine Cavanaugh passed away on December 22, 2014 at the young age of 51. She is perhaps best-remembered as the voice actress of (in no particular order) Babe, Dexter (Dexter's Lab), Bunnie Rabbot (Sonic the Hedgehog), Chuckie Finster (Rugrats), Oblina (Aaahh!!! Real Monsters) and Goslyn Mallard (Darkwing Duck, Raw Toonage). While her voiceography is not as long as other veteran voice actors and actresses, she more than made up for it with quality acting and defining fan-favourite characters, bringing them memorable personalities that lasted long after their shows completed their runs. Three years ago, Nintendo announced Super Smash Bros. for the 3DS, the latest in Nintendo's series of fighting games featuring various Nintendo characters. As the game's Japanese version launched this Saturday, the full roster for the game is now known (though it had actually been leaked back in August). The starting roster can be found here. 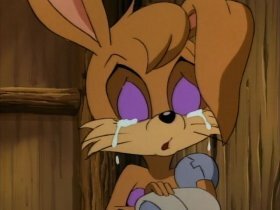 The furry part of the complete roster will be covered after the break, so don't click on Read More if you're worried about spoilers. The game will be hitting stores everywhere else October 3, with the exception of Germany, which gets it a day early due to a national holiday. Lucky them. Guardians of the Galaxy was the only furry comic to make it to the top 100 list again, so I’ve got nothing. What would happen if Sonic the Hedgehog and Sparkster from the the Sega Genesis game Rocket Knight Adventures had a love child? Well, apparently it would produce a purple dragon. Most people would point out that this makes absolutely no biological sense. They’d be right. I was talking metaphorically about game mechanics. Yes, Freedom Planet is a platformer featuring anthropomorphic characters in high speed platforming antics. There are certainly plenty of those to go around. But what makes this one stand out is that it really does capture the essence of what made those titles that inspired it successfully, all while creating a style of its very own. Jerry Beck’s Animation Scoop has a first look at SEGA’s and OuiDO! Productions’ Sonic Boom CGI TV series, coming to the Cartoon Network (also French TV) later this year. Sonic the Hedgehog is best-known as a SEGA computer game series, but this announcement – with a 2’50” trailer – shows what Sonic, Tails, and Dr. Eggman look like as fully animated CG characters. Our friends over at Cartoon Brew have a new article up about Cartoon Network’s new series (that’s plural!) they have announced for their upcoming 2014/2015 fall season. 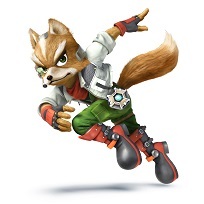 And, notably, there are several new series in the group with more than a passing Furry interest. Featured in the article is the new series Over the Garden Wall. “Cartoon Network’s first event mini-series, an animated comedy/fantasy story about two brothers, Wirt and Greg, who are trapped in a mysterious world. In this ten-part mini-series, Wirt and Greg must travel across this strange land until they find their way home, aided by a wise old Woodsman who gives them directions and a bluebird named Beatrice.” Next up is We Bare Bears, “…a comedy about three bear siblings, named Grizzly, Panda and Ice Bear. A fan game review? That’s not something you see every day. It’s not something I write every day, either. Let’s face it, our society likes canon. There isn’t much money in derivative fan-works; and since they’re free, there’s little need for good reviewers. Besides, fan games are typically hit and miss— well, okay, mostly miss. Only a completely hard-up fan with nothing better to do will constantly look for fan content to play. When they do, they’re mostly disappointed. As a result, more moderate fans may miss some really cool content; some of which proves far superior to its inspiration. To say Sonic AtS is one such superior work would be one of the greatest understatements one could possible utter. 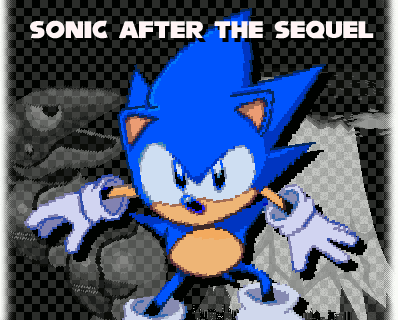 As a youth who was more fond of the hedgehog than the plumber, this work did something no recent official Sonic title has been able to do: surprise me. The Sonic The Hedgehog video game was introduced by SEGA Entertainment in 1991. The feisty blue hedgehog was designed to be SEGA’s corporate mascot, and his popularity quickly justified that. This book was produced to celebrate his 20th anniversary (more or less). UDON Entertainment Corp., January 2013, hardcover $49.99 (297 [+ 3] pages).